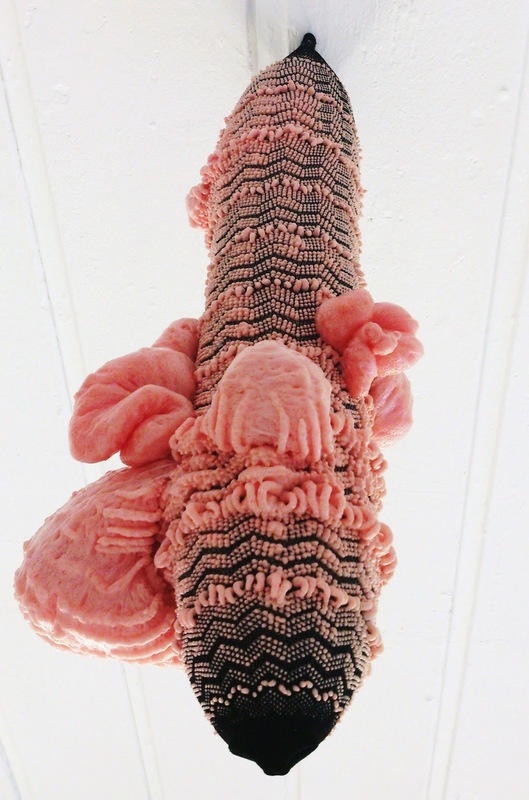 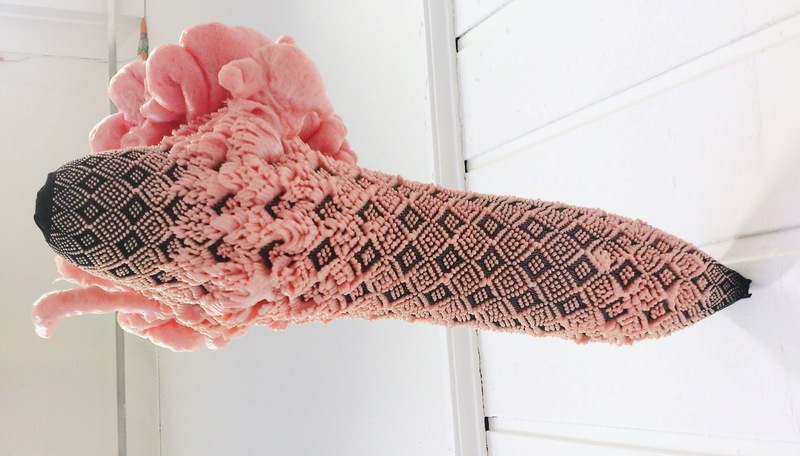 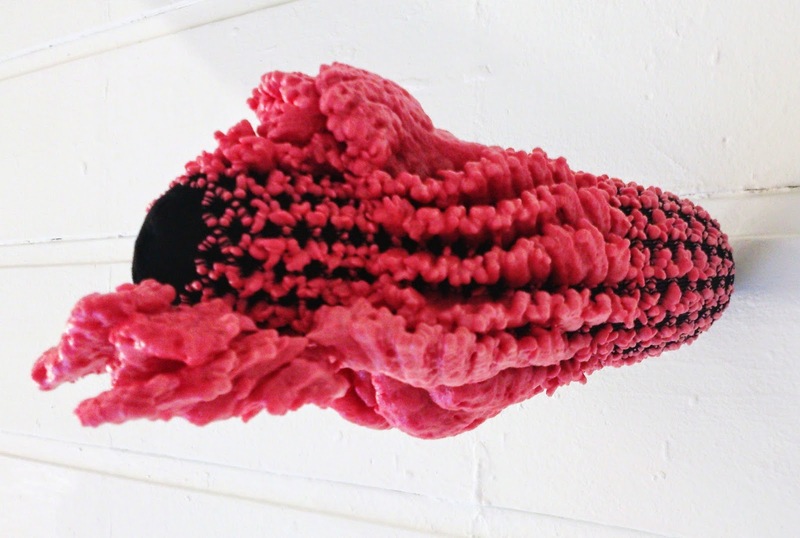 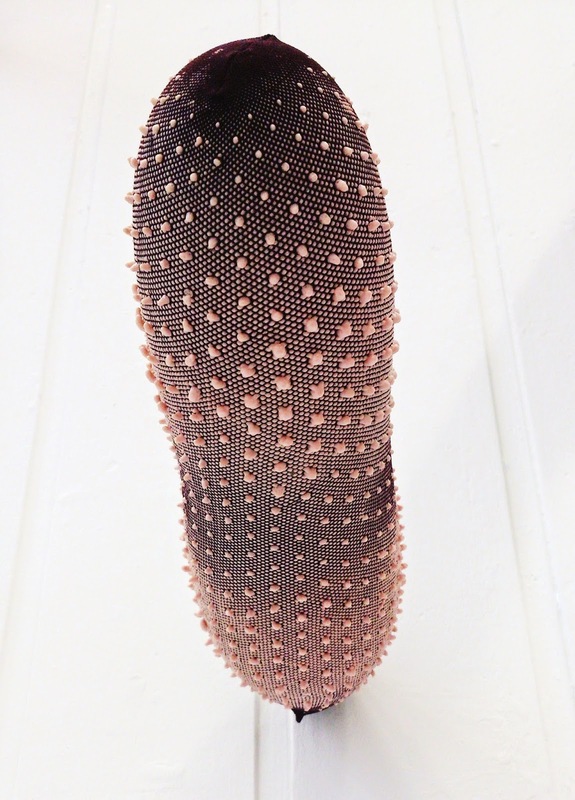 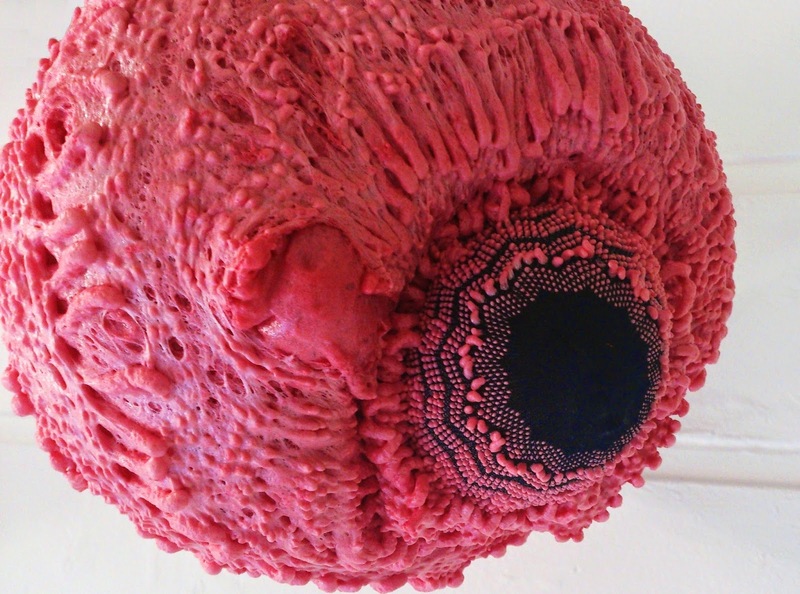 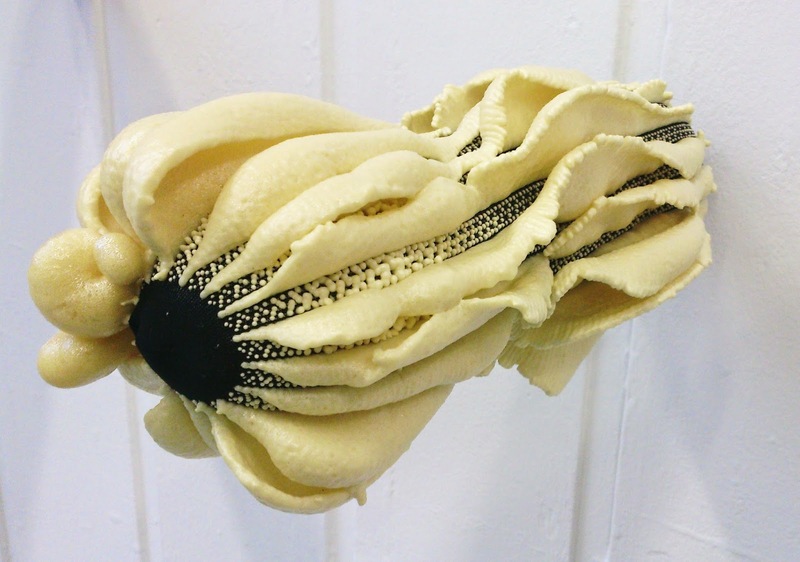 Resembling sea slugs, coral, or strange party balloons, these are the works of Charlotte Nash who's final degree show in Sculpture at ECA was bizarre and wonderful. 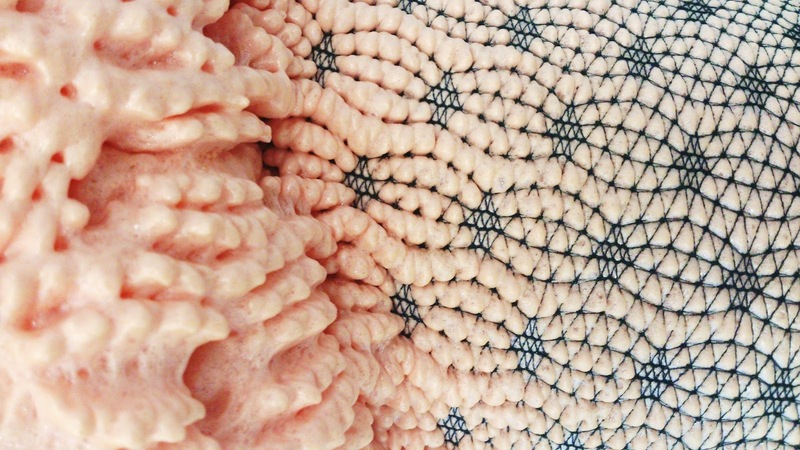 The oddest shapes and textures created by pumping expanding foam through patterned tights. 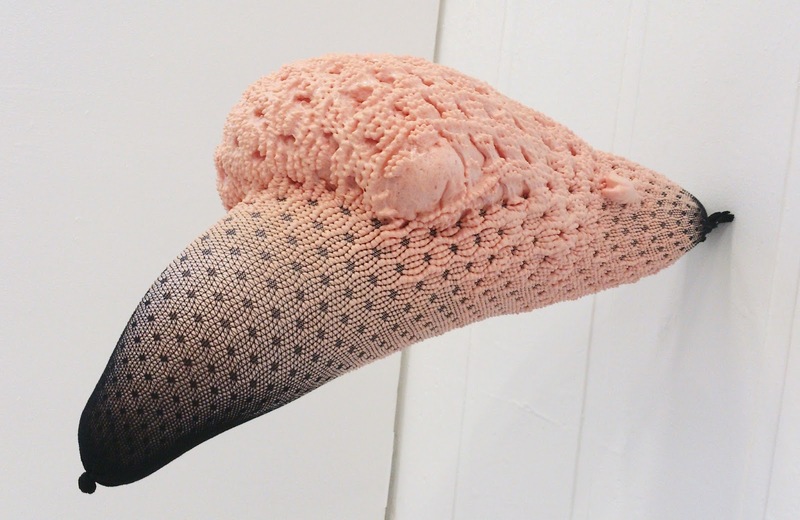 These are quite quite wonderful!